Johnston Carmichael has has strengthened its financial services advisory team with the appointment of a key strategic hire. Ewen Fleming joins as partner following a long and successful career in financial services covering retail banking, wealth management and business consulting. He brings with him significant experience in strategy and planning; implementing large scale change; credit risk; operations; sales distribution; and management consulting. His appointment is part of an ambitious plan to expand Johnston Carmichael’s capability in the financial services industry. Prior to joining Johnston Carmichael, Ewen was a partner at Grant Thornton and leader of the firm’s Financial Services practice. He began his career at Royal Bank of Scotland where he occupied senior roles in risk, strategy, and distribution & operations for the bank’s retail, SME and wealth divisions. From there, he moved to Santander UK where he established its Premium Banking business before becoming a highly respected business consultant to the financial services sector. In his new role, Ewen will help to build on the existing expertise within Johnston Carmichael’s financial services team which led the high profile, independent review of ten proposed Royal Bank of Scotland branch closures last year. The firm also has strong expertise working with a wide range of organisations across the financial spectrum providing services ranging from statutory/regulatory audits and controls assurance reporting, to regulatory capital reviews and the production of Key Information Documents and MiFID II reporting models. The firm has also invested in financial modelling and data analytics expertise in recent years. The UK financial services industry is one of the biggest worldwide and contributed £119bn to the UK economy in 2017 - 6.5% of total output. However, the industry is facing challenges on several fronts including evolving customer requirements, the increasing adoption of digital technologies, and economic factors including Brexit. Additionally, the banking sector has been affected by regulatory changes and increased competition from challenger banks, as well as the low interest rate environment, which has had a negative impact on profitability. Ewen Fleming said: “I am very excited about joining Johnston Carmichael and having the opportunity to help the firm build on its strong brand and reputation in the financial services sector. “I have also been deeply impressed by Johnston Carmichael’s ambition to create sustainable growth built on the foundations of hiring and developing top quality people. 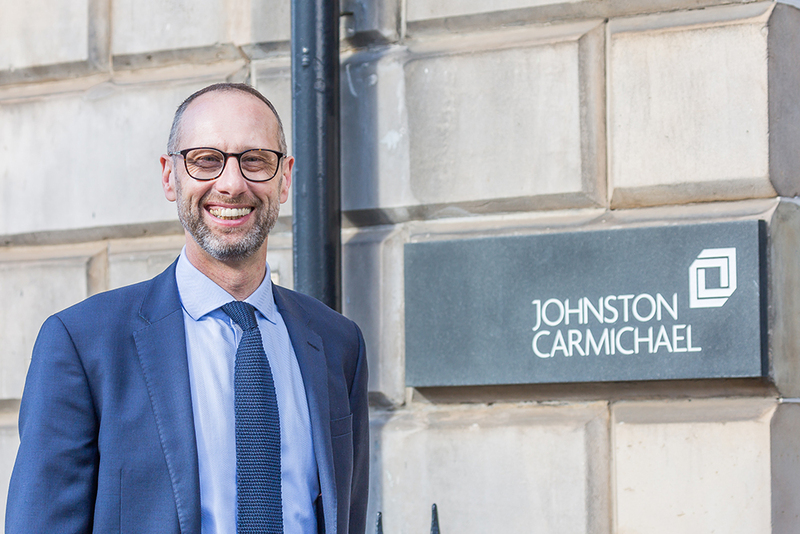 We are really delighted to be welcoming someone of Ewen’s experience and stature to Johnston Carmichael where he will play a very significant role in developing our financial services offering. This move is all part of our ambitious strategy of expanding the range of services we can offer our growing client base. Sandy Manson, chief executive of Johnston Carmichael, said: “We are really delighted to be welcoming someone of Ewen’s experience and stature to Johnston Carmichael where he will play a very significant role in developing our financial services offering. This move is all part of our ambitious strategy of expanding the range of services we can offer our growing client base. Getting to grips with PRIIPs – are you ready for 1 January 2018? The Packaged Retail & Insurance-based Investment Products (PRIIPS) regulation comes into force on 1 January 2018, bringing with it a seismic change to disclosure requirements for investment products. Now is the time to act to ensure you’re prepared for this looming deadline.